Los Angeles is home to four internationally distributed art magazines: the triannual Afterall and the quarterly X-TRA, both nonprofit publications, and two commercial magazines, Art Ltd and the newly created The Magazine. In June 2008, Christopher Howard, editor of CAA News, talked via email with editors from the first two publications, Elizabeth Pulsinelli from X-TRA and Stacey Allan from Afterall, about their respective magazines. Can you tell me about your backgrounds and how you came to your respective publications? 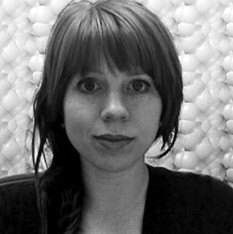 Elizabeth Pulsinelli: I joined the X-TRA editorial board a few years after I graduated with an MFA from CalArts. I was a founding member of the Project X Foundation for Art and Criticism, the nonprofit formed to act as publisher of the magazine. Later, I stepped down from the foundation to become the managing editor of X-TRA. I left that position to become the executive editor earlier this year. Before moving to Los Angeles several years ago, I received a BFA from the School of the Art Institute of Chicago. 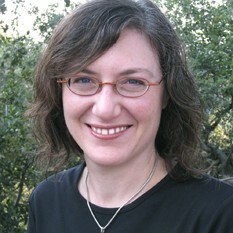 Stacey Allan: I began as associate editor of Afterall in September 2007. Before relocating to Los Angeles to work for Afterall, I spent the last five years in New York working at nonprofit exhibition spaces such as the Kitchen and apexart, writing and curating independently, and earning my MA in curatorial studies from Bard College. Prior to that, I commissioned public-art projects for the Chicago Department of Cultural Affairs and, like Elizabeth, earned a BFA from the School of the Art Institute of Chicago. 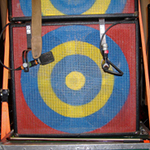 X-TRA was founded in 1997, and Afterall started a year later. What was happening in the mid-1990s in Los Angeles that led to the formation of both publications? EP: In the mid-1990s, students were pouring out of exciting programs such as CalArts, Art Center College of Design, and UCLA and staying in Los Angeles. There was an abundance of intelligent, provocative art and many venues in which to see it, but not a lot of forums for critical dialogue outside of the classroom. Stephen Berens and Ellen Birrell started Project X as a collaborative curatorial venture. But they soon realized that the small publications they were producing in conjunction with the exhibitions were filling a more pressing need than the shows. So, X-TRA was born to address the dearth of quality art writing in LA’s vibrant art scene. SA: Afterall was founded in London by a curator, Charles Esche, and an artist, Mark Lewis, as a research and publishing initiative started at Central Saint Martins College of Art and Design. I can imagine that the post-YBA years in London were not terribly different from the scenario in Los Angeles that Elizabeth describes, with an outpouring of MFA graduates and a boom in artistic production, as well as commercial growth that created a need for critical discourse and reflection. In their foreword to the pilot issue of the journal in 1998, Charles and Mark emphasized the wider social, political, and philosophical context in which artists can act as critical intellectuals. I think the journal was, in part, also an appeal to artists to consider and hold onto their role as such. Afterall is a joint publication between CalArts and University of the Arts London. What are the journal’s specific ties to Los Angeles, and also to London? SA: The Los Angeles office was formed when Thomas Lawson (artist, writer, and dean of the School of Art at CalArts) joined Charles and Mark as a coeditor in 2002. Though I think we’re still often thought of as a London-based publication, we’re invested in Los Angeles and in maintaining the dialogue between those two cities that is the publication’s strength. I’m a new arrival, having just moved here from New York, but Tom has been in Los Angeles for almost twenty years now and, as an educator, has been deeply involved in the arts community and the development of a generation of LA-based artists. So providing a critical voice that is rooted here, and doing so within the context of an “international” publication—not just international in terms of geographical coverage or distribution, but also as an editorial and academic collaboration that aims to put the two cities in dialogue—is really of key importance. We’re also actively trying to strengthen our ties to the city by using our website to publish more local exhibition reviews and interviews with LA-based artists. How does X-TRA balance the support of a regional art community while sustaining a national—even international—audience? EP: The regional art community in Los Angeles is an international art community. Our mission, first and foremost, is to promote and provoke critical dialogue about contemporary art. In addition, we also strive to be a publication of record for the artwork produced and exhibited in and around Los Angeles, which is recognized around the world as a major center for the production of contemporary art. How has X-TRA grown during the present decade, when other art magazines, such as Art issues and the New Art Examiner, folded? EP: X-TRA is sustainable, in large part, because it is collectively edited by a group of about eight artists and writers. We have a powerful group dynamic with lively, contentious discussions. The writing in the publication reflects our sense that the arena of art criticism encompasses a broad and contested territory. At the same time, the collaborative process shields individual editors from burnout. On a pragmatic level, the publishers have steered our growth along a slow but steady course. We also accomplish a great deal with the generous volunteer efforts of the editorial board and a tiny, efficient paid staff. Afterall is structured like an academic journal, yet its contributors come less from the academic world and more from the amorphous contemporary art scene. By contrast, X-TRA is a newsstand art magazine but often publishes the same kinds of texts as Afterall by the same kind of diverse group of curators, artists, critics, and hybrids of all three. What are the freedoms and constraints of the two formats? EP: The publishers’ decision to put X-TRA on the newsstand was motivated by a desire to reach a broader audience and increase our subscription base. The editorial board doesn’t tailor the contents to a newsstand context but rather strives to print the most interesting writing on art that we can generate. We don’t consider ourselves to be an academic journal because the readership of X-TRA is not predominantly composed of academics. Our readership is diverse—including artists, writers, curators, and people who look at and buy contemporary art. This broad audience gives us freedom. The expansive structure of the magazine and the breadth of our readership accommodate a wide range of subjects and writing styles. 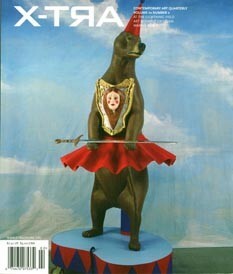 SA: Like X-TRA, Afterall is distributed on newsstands and seeks that diverse readership. Our formats are actually quite different, though, because we don’t publish reviews or commission artists’ projects. We focus on four to five artists per issue and commission two in-depth essays on each. We also publish broader contextual texts written by art historians, critics, curators, artists, or whoever we feel can contribute an interesting take—our writers often hold academic positions, but I suppose, as you’ve mentioned, they just as often don’t. It may be that the focus and the longer format of the writing, in addition to our sponsorship, make us more like an academic journal than an art magazine. In terms of freedoms and constraints, I think they primarily have to do with our publishing schedule—because Afterall comes out only three times per year, it is a little more difficult to stay ahead of the curve. At the same time there is great freedom in that, too. How does X-TRA’s nonprofit status compare to the academic sponsorship of Afterall? And both magazines lack the ad count of larger art glossies. How does an independence from advertisers help (or hurt) your publications? EP: As far as we can tell, there is no clear economic model for art publishing. We are funded by a combination of grants and donations from private and public institutions and individuals, by advertising, and by subscriptions. A smaller proportion of our budget comes from advertising than some other art magazines, but we aren’t entirely independent of advertisers. We strive to have as diverse a funding base as possible so that we aren’t dependent upon, or beholden to, any single source. SA: We are also nonprofit. We do receive significant support from two academic institutions and also from a relatively new partnership with the Museum van Hedendaagse Kunst Antwerpen (MuHKA, the contemporary art museum in Antwerp, Belgium). Foundation grants help out too, most notably the one we received from the Warhol Foundation. But we also rely on the support of our advertisers, and they advertise with us, I believe, specifically to show support. Speaking of the Warhol Foundation, how have your recent grants from the Creative Capital | Warhol Foundation program for writing on art had an impact on your publications? SA: The Warhol grant is particularly great because in addition to fiscal support, the foundation brought Afterall together with the other Warhol-funded nonprofit publications—including X-TRA, Cabinet, Art Papers, Bomb Magazine, Esopus, Art Lies, the Brooklyn Rail, and Nka: Journal of Contemporary African Art—for peer-learning sessions in New York. That has been especially valuable because we’ve all been able to share information and see where we are working through some of the same issues, what solutions different magazines have come up with, and so on. Much of our focus has actually been going into technology and establishing better systems for data management, which isn’t exactly glamorous but relates directly to how we can better reach out to and serve our readers. This allows us to use staff time on more interesting projects like planning a summer film series or researching new artists and writers for the journal. EP: The grant that we received from the Warhol Foundation has had a tremendous impact on X-TRA. The funds significantly improved our production values. As a result, the physical appearance of the magazine is now on par with the high quality of the writing. We also have been grateful for the opportunity to network with other publications. Let’s take a step back from the magazines and talk about the LA scene. What galleries, artists, and programs are exciting to you? Feel free to be totally opinionated here. EP: In the last ten years or so, it feels as if Los Angeles has settled into its role as a major center for art production. For example, a sizable number of artists in the 2008 Whitney Biennial—twenty-six by my count—live in the Los Angeles area; several more were educated here. LA’s position on the art-world map no longer seems like a contestable, fleeting phenomenon. My colleague Shana Lutker was commenting that Los Angeles seems to have taken the momentum of the last few years to establish some institutional support for its burgeoning art scene. Local nonprofits such as LAXART, Los Angeles Contemporary Exhibitions (LACE), and Telic Arts Exchange seem to have stepped up their programming and are putting a lot of energy in the community that is not market-based. Recent MFA graduates are fueling investment in all kinds of communal activities. In my opinion, the major museums such as MoCA and the Hammer consistently offer engaging programming. The commercial galleries that cover swathes of Culver City, Chinatown, and Santa Monica, plus many more scattered in between, make for a lively “scene.” I like to keep an eye on organizations and venues such as Smockshop, the Center for Land Use Interpretation, the Institute for Figuring, Materials & Applications, Machine Project, and Outpost for Contemporary Art. Every month brings far more to do and see than I could possibly manage. It’s not such a bad problem to have! SA: I completely agree with Elizabeth and have a similar list of favorites. I’ve been in Los Angeles for a little less than a year, so I’m still excited by the geography of LA and the way the art scene rests within it. There is so much happening here, but you have to keep your ear to the ground—things are spread far and wide and tend to bubble up quietly, at least compared to the rolling boil of New York where things rise quickly and pop. You have these fantastically odd places with big reputations, such as the Museum of Jurassic Technology, the Center for Land Use Interpretation, and Machine Project, that are able to remain vital and interesting and not burn out. I feel LA nurtures that. Studio and living space is less prohibitively expensive and the market doesn’t dominate, so MFA programs are really central. It seems to allow for a lot of experimentation without a high level of fear about financial or professional risks. Afterall publishes a series of books distributed by MIT Press and schedules frequent symposia and events. And last year it “swallowed up” the journal AS (also known as Andere Sinema, which was found in 1978 and published by MuHKA). Is this the start of an art-media empire? SA: I don’t know—do you think we should ask Rupert Murdoch to join our board? No, actually you’re just describing partnerships, and no other journals have been consumed. In the same way that Afterall partnered with CalArts six years ago and brought on Tom as an editor, we were able to partner with MuHKA and bring on a new editor, Dieter Roelstraete, who had been editor of AS since 2000. Afterall is now published three times per year instead of two, and MuHKA continues the work it was doing with AS. X-TRA runs a program that provides free issues of the magazines for students if their schools or departments pay for shipping—what is this program about? And does Afterall offer something similar? EP: The Academic Distribution Program provides copies of X-TRA to students in art programs around the country at the significantly reduced group rate of $1.50 per issue (including shipping). Making X-TRA’s thoughtful, provocative writing available to students has been a key component of our mission since 1997. We see it as a great way to contribute to the intellectual development of artists and art historians while building future readership for the magazine. SA: Thanks for not ending us on that note of empire building! Yes, we do offer half-price subscriptions to students, as well as discounts on subscriptions and back issues to CalArts alumni. We also donate annually to the Distribution to Underserved Communities Library Program, which distributes books on contemporary art and culture to rural and inner-city libraries and schools nationwide. Originally published in CAA News in July 2008 and on the College Art Association website on December 29, 2008.